Beck has always been a musician on the edge: his earlier works range from full folk and anti-folk albums (2002 release Sea Change; his debut Golden Feelings) to surrealistic hip hop alt-pop (Odelay); the five albums taken on by Record Club, his ongoing collaborative foray into one-day full album coverage of other artists, are sparse and odd, with both Yanni and the Velvet Underground in the mix, but always interesting. Our once-upon-time 2007 feature on his coverage shows but a part of this range, noting that, in covering the songs of others, Beck tends towards “funereal alt-folk” – full-bore ragged folk blues and morphine folkhymns – letting the glitchy songs that ride the line between pop and electronica stand on their own merit as whole-cloth compositions. But in a world where a band recently released their album on polymer casings that could be filled with water and frozen to create a functional ice record that degrades while you play it, playing with form is a legitimate response to the challenges of making the musical object, beyond and as compared to the easily-downloadable song, a thing of both value and beauty. So when Beck released his most recent “album” as sheet music, via the hipster-lit mag-and-more McSweeney’s, hardly anyone blinked. But then people started playing the 20 songs in that musical collection, and recording them. And in considering these tracks as fodder for our ongoing exploration here at Cover Lay Down, I realized that in creating a work of art in potential – that is, by releasing his album as something which by definition exists both as its own artwork, and as a template designed to be played out and interpreted in order to be fully experienced – Beck presents the world of coverage with an existential crisis. Can it be a cover if there is no original? Technically, no. By definition, covers take on songs which have been heard; it is the creative interpretation of that hearing experience which we celebrate herein as inherent in the folkways. We acknowledge the primacy of the original recording by digging deep into the history of the songs we cover where needed, in order to cite and therefore see how history has adapted a song (see, most recently, our exploration of You Are My Sunshine). But in those cases, the first recording almost always influences the subsequent cover – almost by definition, modern coverage involves interpretation as a reactive process to the performance of another. Beck’s new release confounds that premise. It is both anachronistic (sheet music), and a new medium (a set of sheet music meant to be understood as an album). But what it isn’t is an original recording – the prerequisite for coverage. It is a blueprint, not a performance; for now, at least, what it prompts is more properly crowdsource than coversongs. Indeed, it comes with the assurance that the author himself has never recorded his own version of his songs. 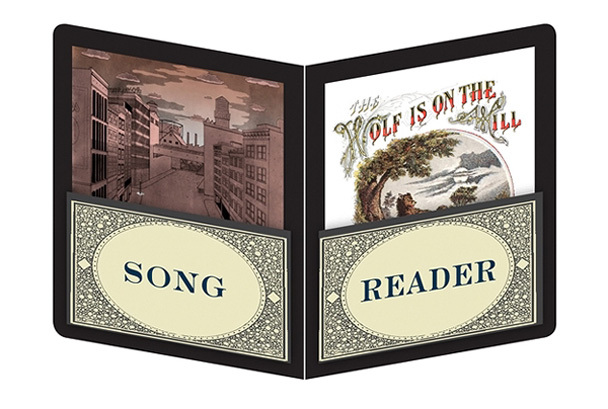 Yet in less that three weeks, dozens of recordings of the songs in Beck’s Song Reader have been produced and published – notably, something which would have been impossible to imagine in the Tin Pan Alley heyday. And, uniquely, these recordings are all interpretations of that sheet music, not other peoples’ versions or recordings. With such rapid-fire response, we are faced with a novelty: few or none of the earliest versions of this song can be counted as a “cover”, as we must assume that no “original” has yet influenced subsequent recordings…and yet, as coverbloggers, the idea of versions seems square inside our search parameters. Whether any of these is a cover, or how and when any of these recordings begin to count as covers, is left as a brain-teaser, a thought experiment of coverage. But the diversity that has resulted / is resulting from this grand experiment is astounding – it is, as the LA Times puts it, “a thrilling bounty of recordings from a variety of musicians”. And so, today, we feature eight of our favorite covers versions of The Wolf Is On The Hill, from sweet and sultry to rowdy and raw – just a tip of a fast-growing iceberg of sound calved by one of the great musical geniuses of his generation. If you’d like to hear more, Portland Cello Project, whose beautiful work with Jolie Holland heads off our mixed-media set below, has recorded the whole album, and the Beck Song Reader fansite is amassing quite a collection. Oh, and Peter Mulvey’s take on Last Night You Were A Dream, as heard on NPR, which also commissioned the Winterpills and Studio 360 covers below? Perfect. Don’t forget to check out our two-part series on The Best Coverfolk of 2012!